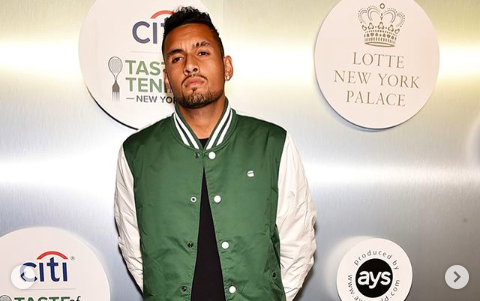 Global tennis stars enjoyed some final downtime ahead of the next week’s US Open as they glammed it up for Taste of Tennis event in New York City on Friday. Among the notable ones to hit the blue carpet were Serena Williams, Simona Halep, Victoria Azarenka, Alexander and Mischa Zverev, Gael Monfils, Kevin Anderson, Sloane Stephens, Nick Kyrgios, and Elina Svitolina, to name a few. And they all upped the style quotient, proving they are good at not just tennis. Serena, who will begin her quest for a record-equaling 24th Grand Slam title, also showed off her culinary skills in guidance of some renowned chefs. Meanwhile, the players will look to slog it out in practice over the weekend before the main draw of the season’s third Major gets under way on Monday.